The most complete and trusted visual compendium of emergency medicine - extensively updated with more than 1500 full-color illustrations. 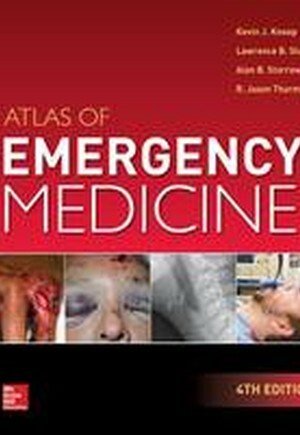 Now in its fourth edition, the Atlas of Emergency Medicine remains the best guide to visual diagnosis of acute medical problems encountered in emergency practice. Packed with more than 1500 images, 500 new to this edition, it is the most comprehensive source of high quality emergency medicine images available, and enhanced with clear clinical information on medical emergencies. Organized by organ-system/special populations/general issues and then by problem, The Atlas of Emergency Medicine is your "look quick, act fast" reference designed to help assess, diagnose, and treat patients efficiently. It covers basic and subtle diagnosis of a broad spectrum of typical and atypical conditions. The book's format is ideally suited to visual learning. One to four images per topic show you exactly what to look for. Accompanying the images is succinct "need-to-know" information for each clinical problem, including management options and clinical pearls. All treatment and diagnostic testing information and guidelines are fully updated. New to this edition is the inclusion of more than 50 video clips that highlight key visual topics in emergency medicine.